"Fr. 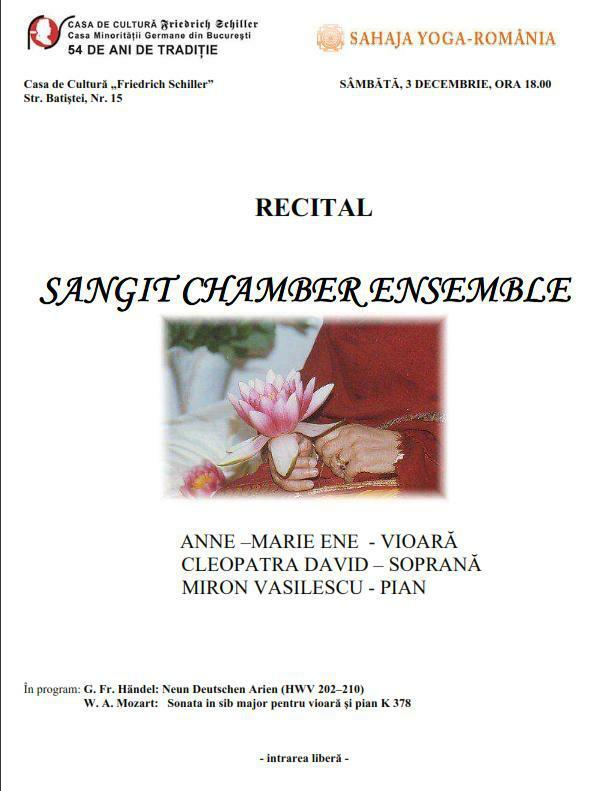 Schiller" Culture House in Bucharest and "Sahaja Yoga - Romania" Foundation are inviting the audience to the next recital of Sangit Chamber Ensemble, which will take place on the 3rd of December 2011. The Nine German Arias by G. Fr. 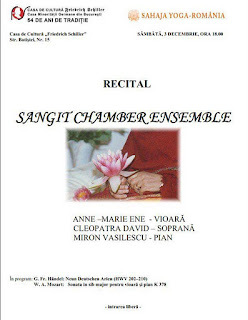 Händel and the Violin and Piano Sonata in B flat K 378 by W. A. Mozart will be offered as a tribute to Shri Mataji Nirmala Devi, the founder of Sahaja Yoga.